Think of MYTHOS as a collection of stories all about a central character, either mythical or historical. There can be many contributing factors to creating a mythos. Multiple authors can give different perspectives on how we see the character. Different perspectives can analyze various sides of a character’s traits and abilities, each revealing important ways of seeing the character. A collection of these stories are also called Literary Cycles. Think of all the stories of Robin Hood or King Arthur or in modern literature The Cthulhu mythos of H.P. Lovecraft or if you will…The Batman! Many authors have contributed their take on these characters, thus creating the mythos that surrounds them. Literary cycles also appear in music. Der Ring des Nibelungen (The Ring of the Nibelung) is a ﻿﻿cycle﻿﻿ of four epic operas by the German composer Richard Wagner. 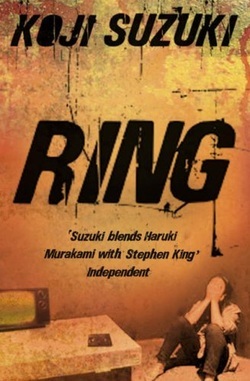 The Ring is a 2002 horror movie that delivers us an American contribution to the Samara mythos started in the novel Ringu by Kôji Sazuki and then depicted in the Japanese horror movie of the same name, finally recreated in this American version of the film. I picked Literary Cycles for this blog because this whole film is about…well…Rings! Throughout the film we see lots and lots of circles. They are integral to the plot, but for me the ring is the cyclical nature of the events of the plot. It’s about how one must make a copy of the cursed tape in order for the evil girl Samara to continue her killing spree, so no matter how it ends…it never ends. There was even a sequel to the American film and the Japanese influenced follow up films with “Samara” like characters such as Ju-on: The Grudge and Dark Water (both of which were also remade as American films). All of these stories worked together to create the mythos of the creepy girl with the hair in her eyes…or Samara! The best contribution to the Samara mythos is a quant very short short story called “The Appointment in Samarra” by W. Sumerset Maugham which had to influence the name chosen by Suzuki for his character’s name. Here it is in its entirety. Creepy stuff. Be warned! How often do you get a story told to you by Death? Multiple writers and multiple perspectives creating a mythology around a characters.